Pneumatic systems are constructed with a series of valves and other pneumatic accessories, which give systems precise pressurized air flow for peak performance. Adding different parts and accessories to systems will change their abilities and performance. Pros know that specific valves and fittings are needed to help get this job done. Without knowing a great deal about pneumatics, making choices between accessories, parts, and pipes can become a daunting experience. For instance, a manual air valve is constructed in more than 100 different configurations. Depending on the task at hand, you must utilize ideal pilot valve. 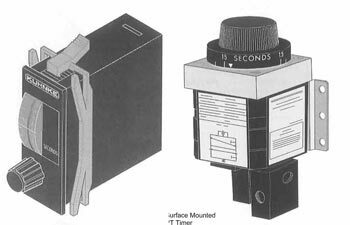 You must also pick between 2-, 3-, or 4-way solenoid valves. At Ellis Kuhnke, we help you acquire the correct pieces to ensure that your pneumatic system runs optimally. We even specialize in advanced miniature pneumatics (where integration with electronics is required). Regardless of your level of knowledge of pneumatics, we can help you get ideal systems and parts. We can design custom system and components that are specific to your business applications. Give us a call today!